L-carnitine - its main function is to transport fats to the mitochondria of the cells where they are burned for energy, protects muscles as a fuel source for the body. 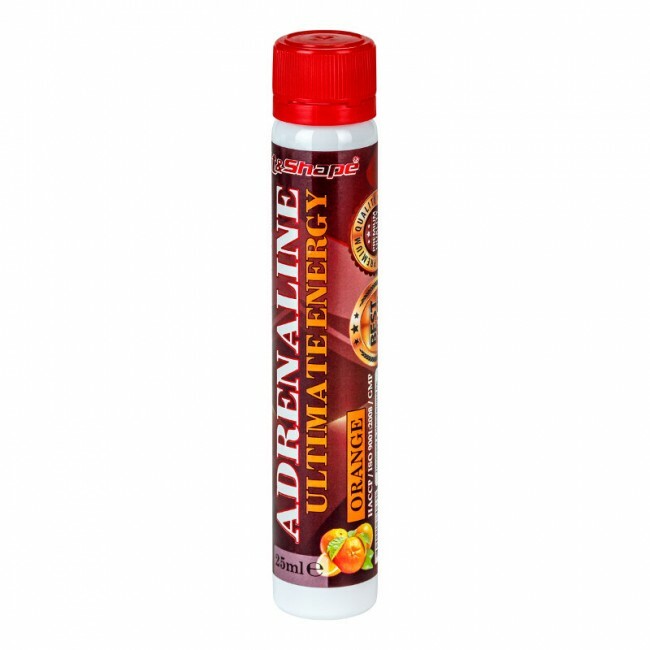 Prevents formation of lactic acid in the muscles, thereby providing access of oxygen - additional energy needed by athletes to increase endurance. Inositol - enhances the action of L-carnitine to burn fat and reduce cholesterol in the blood. Very well regulate nerve impulses coming from the brain to the muscles and in combination with taurine improves sports performance, enhancing izdarlivostta. Improves intercellular signaling and intracellular absorption of calcium for proper functioning of muscles contractions. 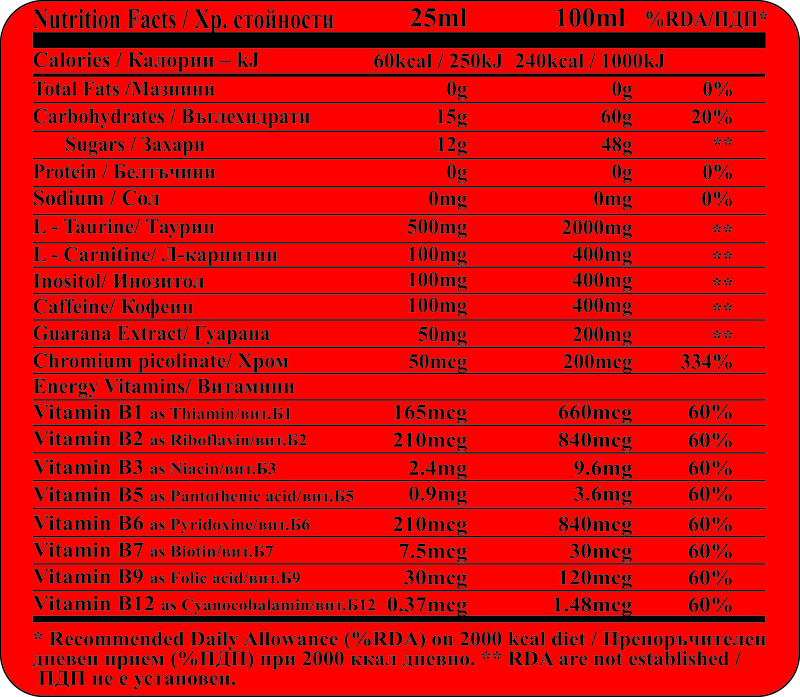 Taurine - is an exceptional amino acid that was discovered back in 1827 by two German scientists. Although it is widely used in energy products and drinks, there is no proven effect energy which is transmitted to the body. Normally taken in dosages of 2 grams to 6 grams a day. Guarana - a Brazilian touch to the whole composition. 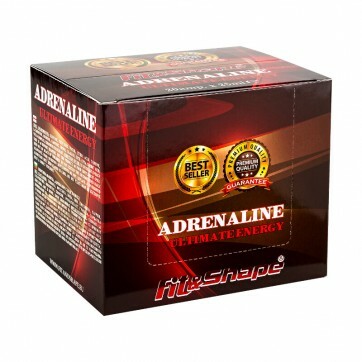 An extraordinary energy stimulator that contains at least two times more caffeine than coffee beans. Enhances brain activity and memory. 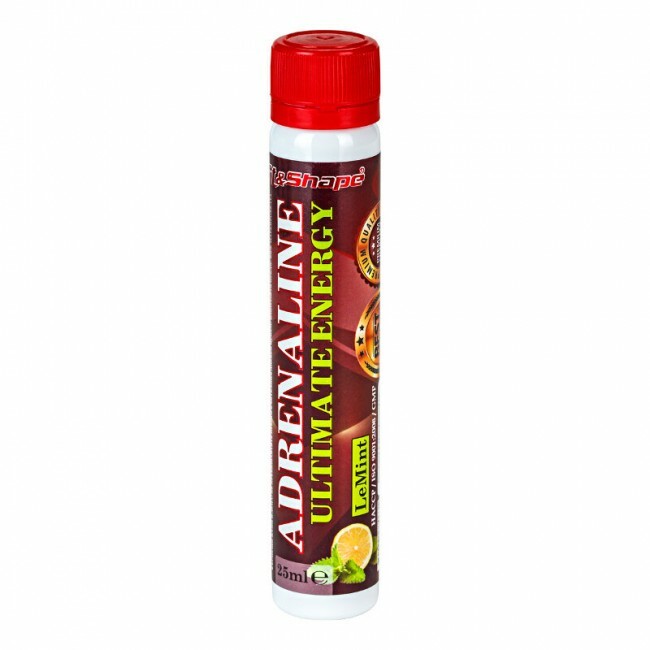 There are proven for fat burning, but to be more convincing, we added a little neat caffeine. In addition to everything we have added a full range of Vitamin B group that will keep your body in good tone and remove fatigue after a hard workout. It gives a feeling of cheerfulness and energy. For best results take one vial (25ml) 30-45min. before training or any time of the day when you feel necessary. CAUTION: Contains caffeine! Glucose, fructose, water, acidity regulator: citric acid, taurine, L-carnitine, inositol, caffeine, flavoring, guarana extract, preservative: sorbate acid, vitamin B complex, chromium picolinate.